Keep in mind that a written record of your charitable contributions–including travel expenses such as mileage–is required in order to qualify for a deduction. A donor may not claim a deduction for any contribution of cash, a check or other monetary gift unless the donor maintains a record of the contribution in the form of either a bank record (such as a cancelled check) or written communication from the charity (such as a receipt or a letter) showing the name of the charity, the date of the contribution, and the amount of the contribution. For more information about this topic, see Charitable Contributions of Propertybelow. 1. Taxpayers can get free tax return transcripts by using the Get Transcript tool on IRS.gov or use their smartphone with the IRS2Go mobile phone app. They can also call 800-908-9946 to order them by phone. 2. To establish the extent of the damage, taxpayers should take photographs or videos as soon after the disaster as possible. 3. Taxpayers can contact the title company, escrow company, or bank that handled the purchase of their home to get copies of appropriate documents. 4. Homeowners should review their insurance policy as the policy usually lists the value of a building to establish a base figure for replacement. 5. Taxpayers who made improvements to their home should contact the contractors who did the work to see if records are available. If possible, the homeowner should get statements from the contractors to verify the work and cost. They can also get written accounts from friends and relatives who saw the house before and after any improvements. 6. For inherited property, taxpayers can check court records for probate values. If a trust or estate existed, the taxpayer could contact the attorney who handled the trust. 7. When no other records are available, taxpayers can check the county assessor’s office for old records that might address the value of the property. 9. Taxpayers can look on their mobile phone for pictures that show the damaged property before the disaster. 10. Taxpayers can support the valuation of property with photographs, videos, canceled checks, receipts, or other evidence. 11. If they bought items using a credit card or debit card, they should contact their credit card company or bank for past statements. 12. If a taxpayer doesn’t have photographs or videos of their property, a simple method to help them remember what items they lost is to sketch pictures of each room that was impacted. 1. To create a list of lost inventories, business owners can get copies of invoices from suppliers. Whenever possible, the invoices should date back at least one calendar year. 2. For information about income, business owners can get copies of last year’s federal, state and local tax returns. These include sales tax reports, payroll tax returns, and business licenses from the city or county. These will reflect gross sales for a given period. 3. Owners should check their mobile phone or other cameras for pictures and videos of their building, equipment, and inventory. 4. Business owners who don’t have photographs or videos can simply sketch an outline of the inside and outside of their location. For example, for the inside the building, they can draw out where equipment and inventory were located. For the outside of the building, they can map out the locations of items such as shrubs, parking, signs, and awnings. If you have been a victim of a natural disaster this year, and need assistance reconstructing tax records, don’t hesitate to call. A taxpayer may determine whether exceptional, extreme, or severe drought is reported for any location in the applicable region by reference to U.S. Drought Monitor maps that are produced on a weekly basis by the National Drought Mitigation Center. U.S. Drought Monitor maps are archived at the National Drought Mitigation Center. Let’s say you have a regular customer who used to pay on time, but he’s been hit-and-miss lately. How do you get him caught up? Or, one of your customers thinks she’s paid you more than she owes. How do you straighten out this account? Both of these situations have a similar solution: QuickBooks’ Statements. QuickBooks’ statements provide an overview of every transaction that has occurred between you and individual customers during a specified period of time. They’re easy to create, easy to understand, and can be effective at resolving payment disputes. 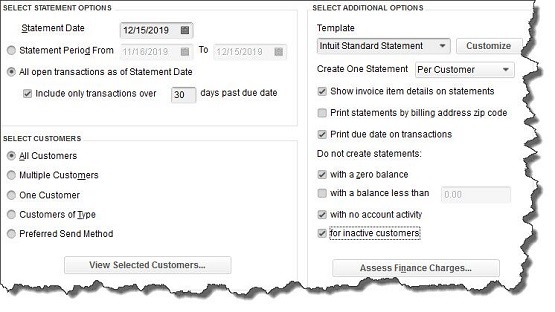 Figure 1: QuickBooks provides multiple options on this screen so you create the statement(s) you need. First, make sure the Statement Date is correct, so that your statement captures the precise set of transactions that you want. Next, you will need to tell QuickBooks what that set is. Should the statement(s) include transactions only within a specific date range? If so, then click the button in front of Statement Period From, and enter that period’s beginning and ending dates by clicking on the calendar graphic. If you would rather, you can include all open transactions by clicking on the button in front of that option. As you can see in the screenshot above, you can choose to Include only transactions over a specified number of days past due date. Multiple Customers. When you click on this choice, QuickBooks displays a Choosebutton. Click on it, and your customer list opens in a new window. Click on your selections there to create a check mark. Click OK to return to the previous window. At the top of the right column, you can select a different Template if you would like, or Customize an existing one. Not familiar with the options you have to change the layout and content of forms in QuickBooks? Let one of our QuickBooks experts introduce you to the possibilities. Below that, you can opt to Create One Statement either Per Customer or Per Job. The rest of the choices here are pretty self-explanatory–except for Assess Finance Charges. If you have never done this, then it may be helpful to call the office and arrange for a QuickBooks pro to work with you on this complex process. Figure 2: It is easy to see how much each customer is past due within each aging period. This summary appears at the bottom of statements. After you have checked all the statements, click the Print or E-mail button at the bottom of the window. Your company’s cash flow depends on the timely payment of invoices. Sending statements is only one way to encourage your customers to catch up on their past due accounts. There are many others, like opening a merchant account so customers can pay you online with a bank card or electronic check. If poor cash flow is threatening the health of your business, a QuickBooks professional can help. Employers – Social Security, Medicare, and withheld income tax. File Form 941 for the third quarter of 2017. This due date applies only if you deposited the tax for the quarter in full and on time.